Lever taps are easy to use for almost everybody making them great taps for commercial bathrooms and kitchens. 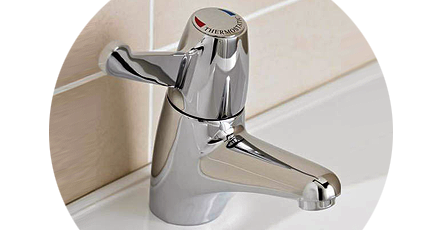 The lever handle doesn't require grabbing with the hand which can also improve hygiene levels as well as comfort. Not all lever taps look the same and there are many styles to choose from. Lever basin taps can be found in a range of bathroom and kitchen designs. We stock lever bib taps, dual and single lever mixer taps; single lever kitchen taps and bathroom taps, as well as swivel spout and pillar and bridge taps. Lever taps are ideal for any type of commercial bathroom, but they're perfect for disabled bathrooms. Single lever mixer taps are easier to use than twist top taps and non concussive taps which makes them a more comfortable option for everybody.